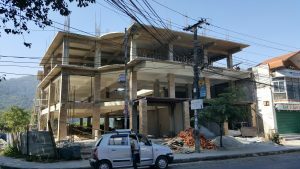 Commercial construction in Nepal, in particular in Kathmandu & Pokhara is not that much different to that of Australia, well not at a fundamental level. 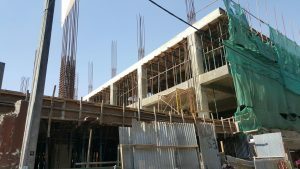 All buildings start at the foundations, then the structure (framing) is built, and finally coming back down finishing the outside. 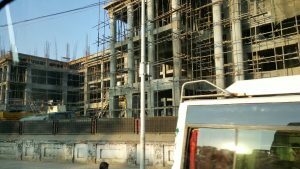 The building structures in Kathmandu & Pokhara are predominately concrete. The concrete structures are constructed the same as the rest of the world. 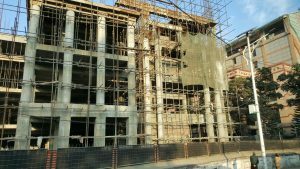 There is steel reinforcing, formwork and so on, but there is where the difference start to show up. The biggest difference that stands out is the scaffolding. 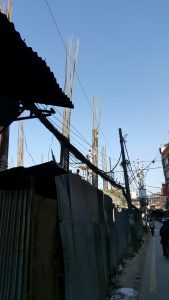 From what I saw, there are some very real differences in the scaffolding between that of a first world country and Nepal. First thing is how bare the scaffolding structures are left once erected. 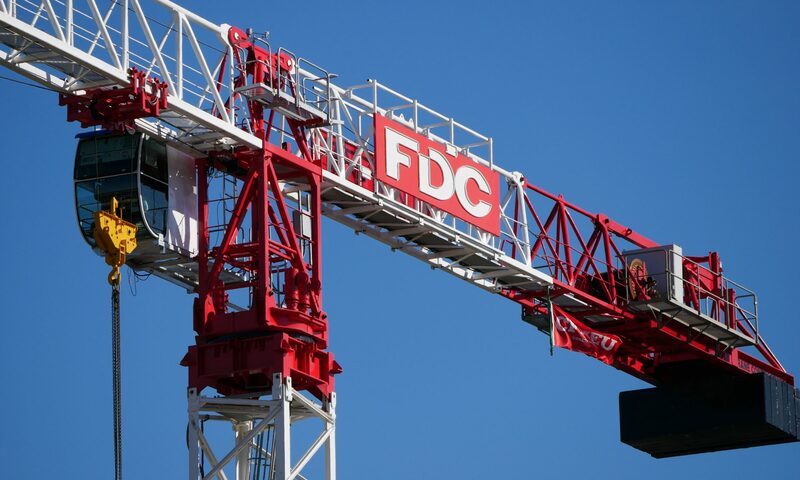 Australia has restrict rules on scaffolding, for example, minimum working platform widths. Well as you can see in the below pictures places to work are tiny, if they exist at all. What was evident as well was how scaffolding doesn’t seem to exist until the very last moment. You can see this in a few of the photos. Please enjoy the pictures and leave your comments below. Concrete column reinforcing placement. Would you join this guy standing in the column. 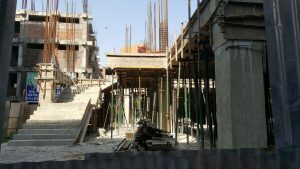 Concrete stair construction in Kathmandu. Pretty much the same as every where else. 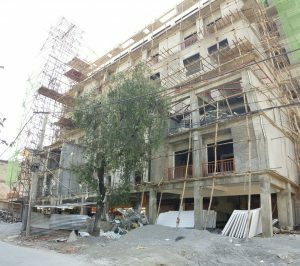 Regardless of how many floors, scaffolding in Nepal is bare. 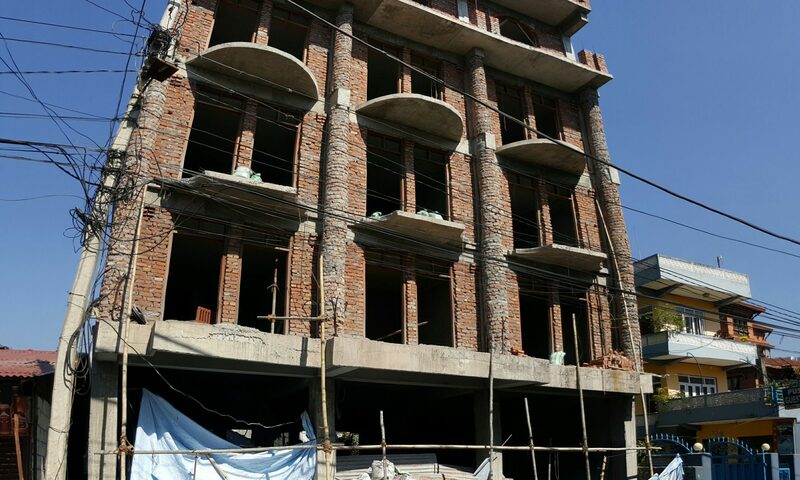 Scaffolding in Kathmandu looks awefully bare compared to home. 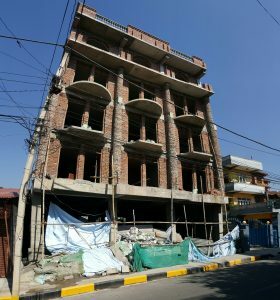 A typical commercial construction in Kathmandu, Nepal. 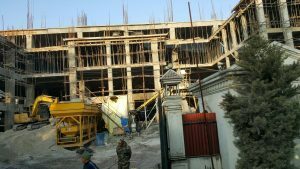 Another view of a typical commercial construction site in Kathmandu. Aside from the obivous differences in construction practices, the fundamentals of building are still the same everywhere. I love the way the middle floor ceiling is completed before any external walls have been built. This building in Pokhara, Nepal simply captured my attention. Previous PostPrevious Construction site management, why I love it. Next PostNext What is online content / marketing? Is this relevant?